To quote one of our children, big brother Isaac to little brother Reece - "It's Better Than Watching TV"! 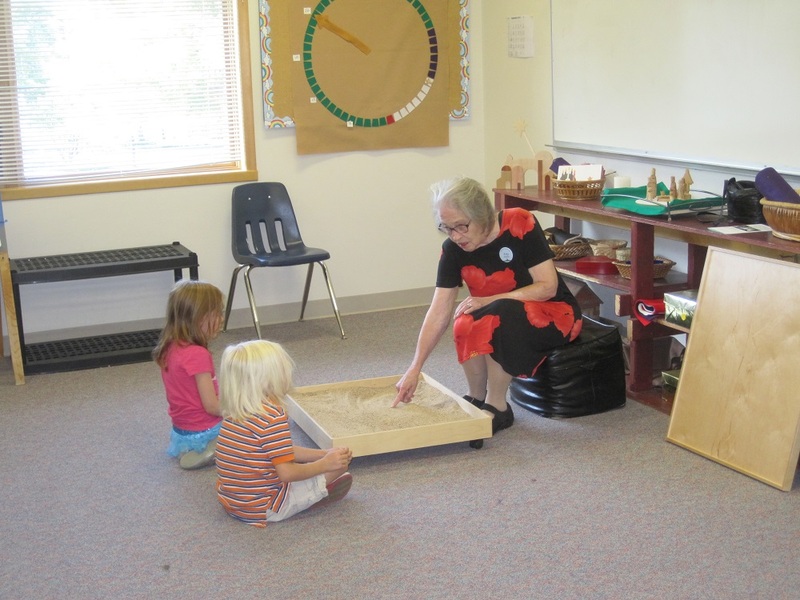 Godly Play is the Episcopal Church’s preferred Sunday school program. It is based upon the recognition that children have an innate sense of the presence of God. All they lack is the appropriate language to help them identify and express it so it can be explored and strengthened. The Godly Play approach teaches classical Christian language in a way that enhances the child’s authentic experience of God so it can contribute to the creative life of the child and the world. Jerome Berryman, an Episcopal priest, developed this program after more than 30 years of foundational research, by analogy from Maria Montessori’s educational approach, and finally application in classrooms. The teaching of the scriptures begins through story telling with small props in a circle on the floor. The children then process the lesson with their teacher, by answering “I Wonder…” questions. Afterwards they decide on a project they want to do for the rest of the time. Each classroom is set up in the same manner with all of the materials displayed on easily accessible shelves; it is from these story and art materials that the children decide on their project/work activity. Finally, they are called back to the circle on the floor after clean-up and before dismissal. We are richly blessed to have our Godly Play at Saint Ambrose. We have two sections of Godly Play: Grades K-2 and 3-5, which are offered during our 10:30 service on Sunday mornings. The children begin the service in the pews with their families, and are then invited to the Godly Play Sanctuary. They return to their families in time for Holy Communion.